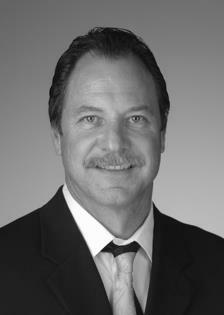 Dan Guare is the founder of Tucson Investment Planners, Inc. He currently serves as president, offering over 30 years of financial service experience. Dan is committed to helping people retire well and specializes in creating customized retirement plans for individuals and companies. His past experience includes managing large 401(k), 403(b), and group plans. He currently works with asset allocators and third party administrators to best manage clients’ money. In addition to earning a Bachelor of Arts degree from Kean University in 1972, Dan also holds FINRA Series 6, 7, 26, and 63 securities licenses, along with real estate, life, disability, and health insurance licenses. He is a current member of the Rotary Club of Tucson, and serves as the Investment Committee Chairman of the Rotary Club of Tucson Foundation. He also volunteers for Reading Seed Children’s Literacy Program. Dan is a University of Arizona sports fan and enjoys following college sports. He has three children and two grandchildren, and is a lover of all kinds of animals.